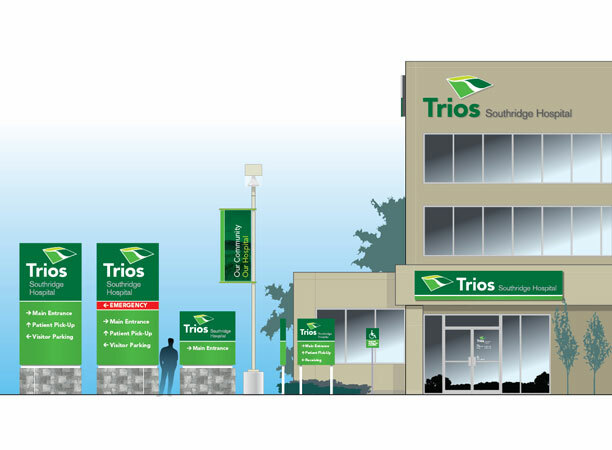 A new era in healthcare for the Tri-cities. 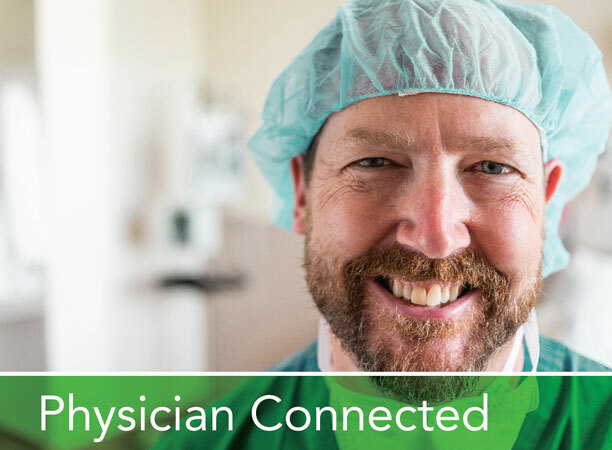 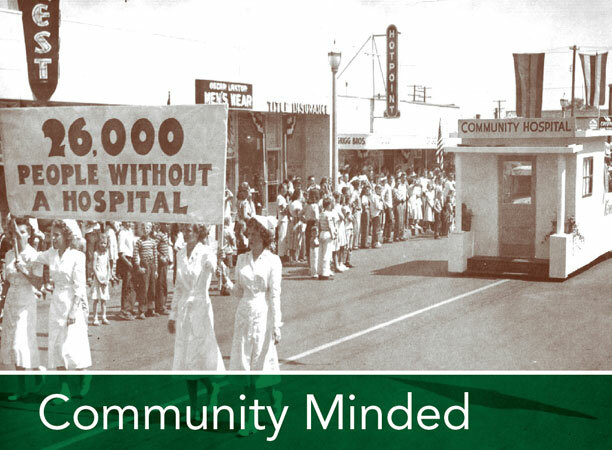 Growing out of the success of 50+ years serving the community of Kennewick, Washington, Kennewick General Hospital engaged Bearings to create a new brand for their overall health system as they grow to include a new hospital in spring of 2014, as well as the largest network of employed physicians in their market. 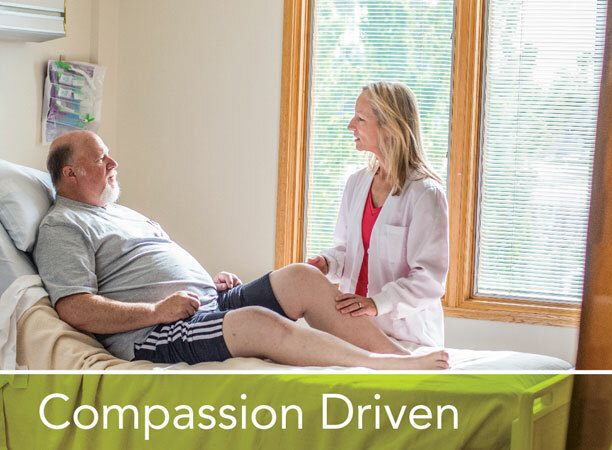 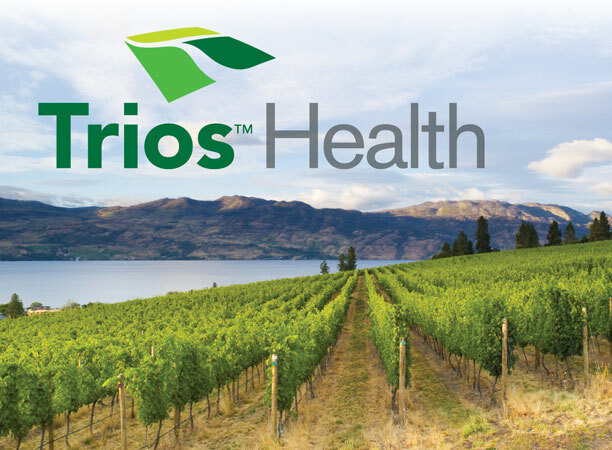 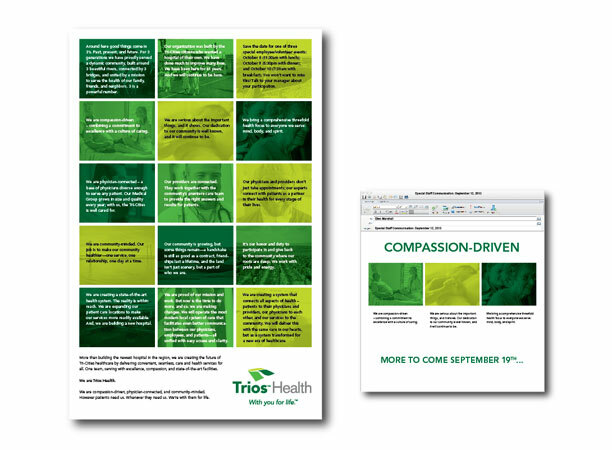 The Trios Health name is a nod to the 3 great cities they serve, as well as the commitment to serving all 3 aspects of optimal health – mind, body and soul. 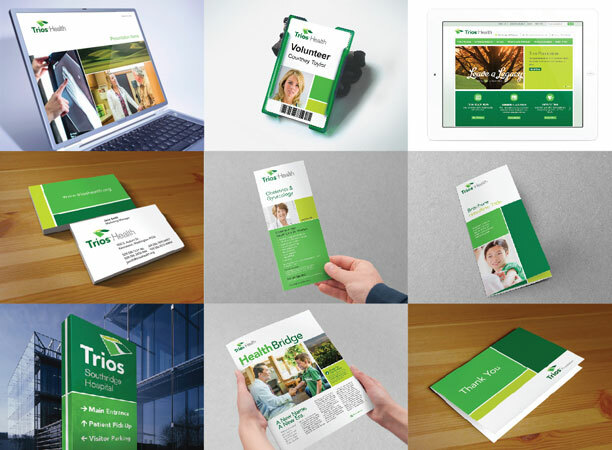 The system brand identity is a nod to the soul of the community being built on agricultural and the confluence of 3 rivers.